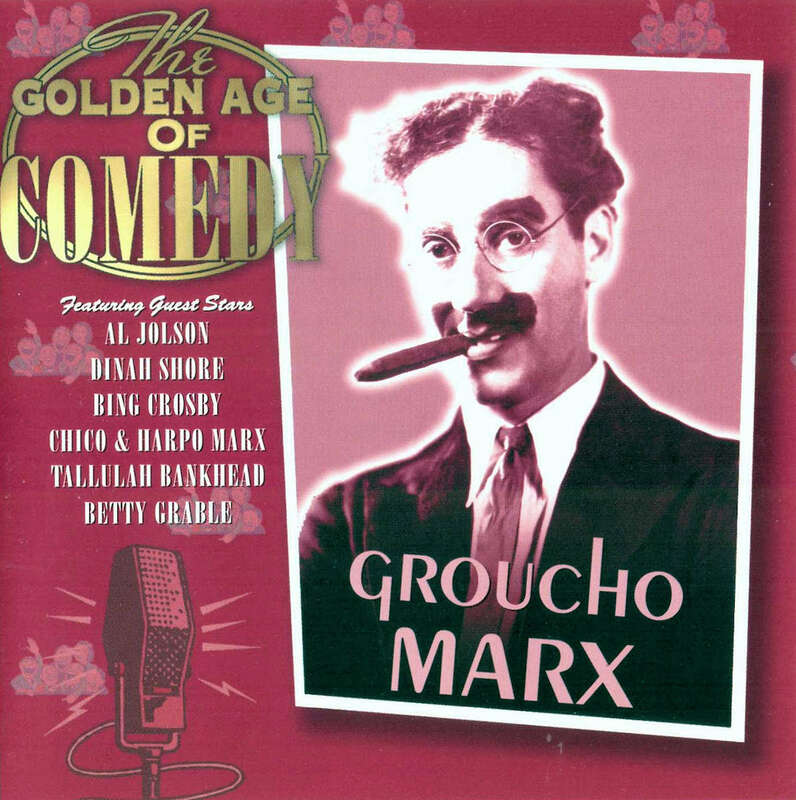 Two 1941 broadcasts of the Rudy Vallee radio program, and Groucho is a guest star on the second show, "The Love Life of a Polyp." 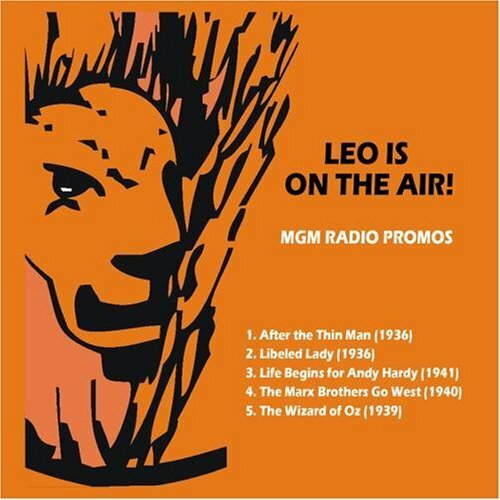 2-B - The Fred Allen Show / Dec 1947? 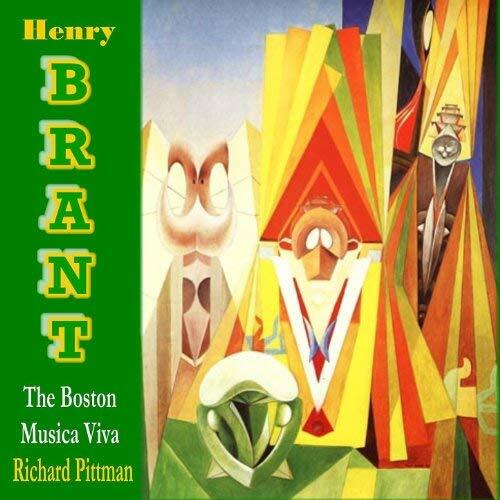 04 - Harpo's 1949 version of "Stardust "
- Phoenix, 2010 / on: " The Boston Musica Viva Performs Works by Henry Brant "
Also available on "Here's Groucho" (1995). 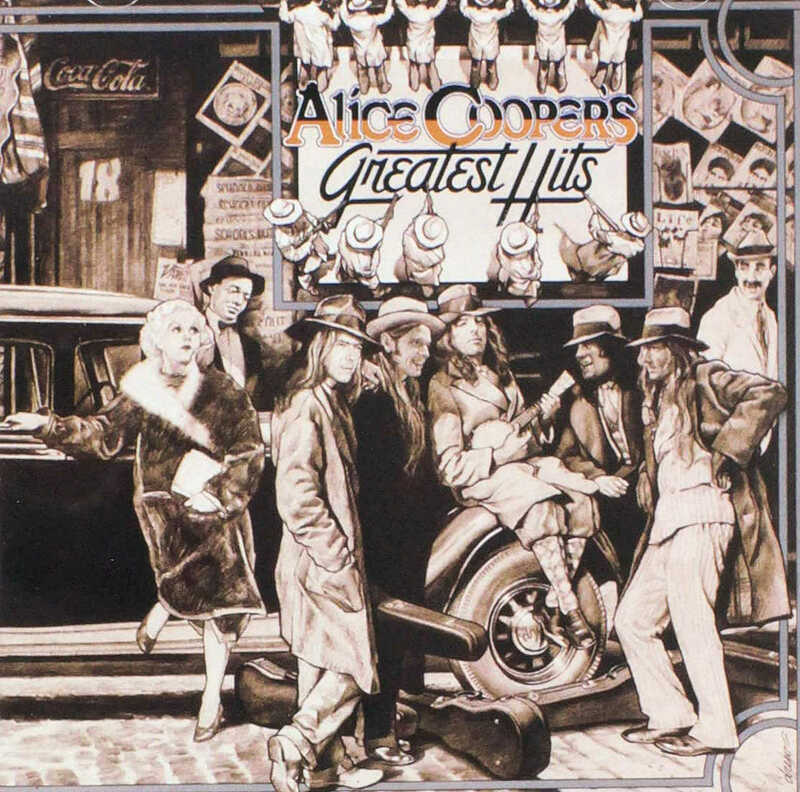 The A-side song is featured in Disney's "Alice in Wonderland", but this is a different recording than the film soundtrack. 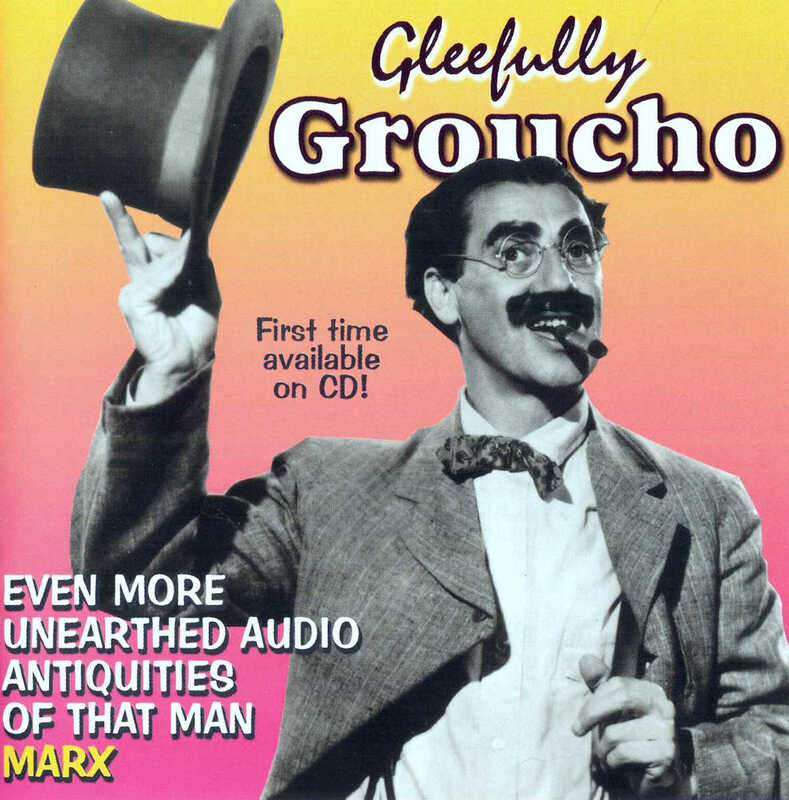 Also available on "Hooray for Captain Spaulding" (1952) and "Here's Groucho" (1995). 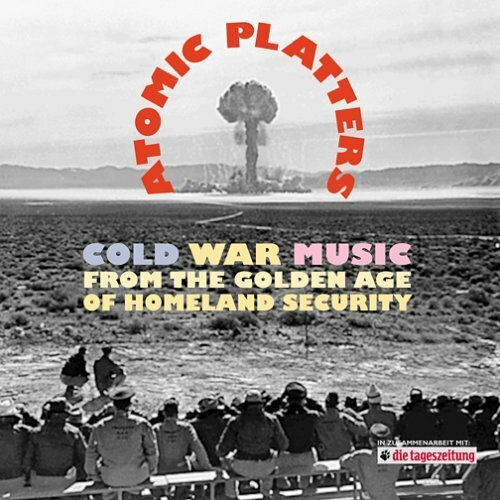 A-side - We Must be Vigilant / also on a CD called "Something for the Boys"
- Armed Forces Radio Service, P-2403 / SSL-4821 / Track order 01, 02, 05, 03, 04, 06. 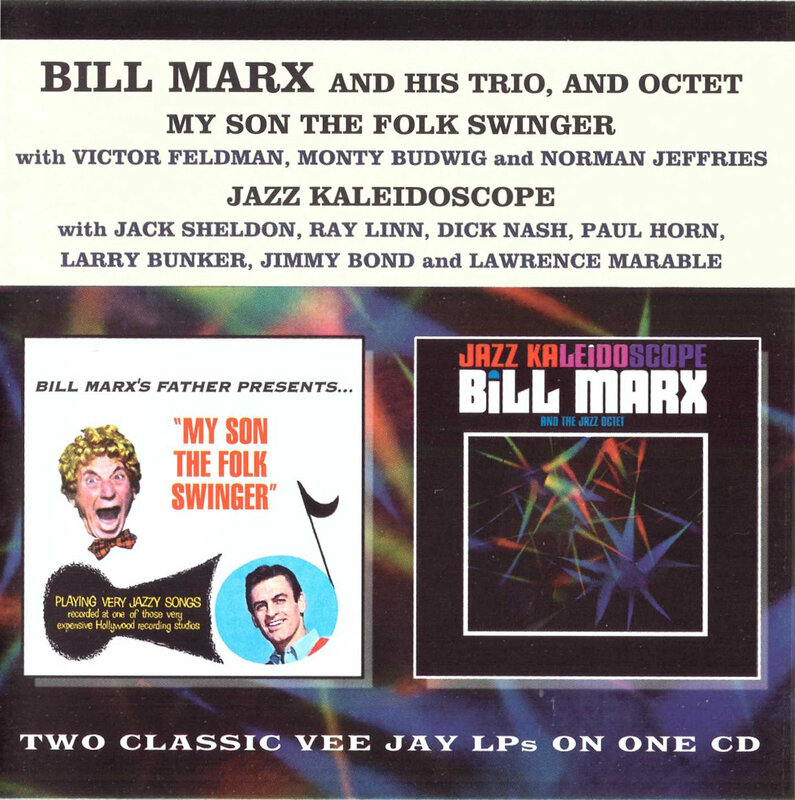 The flip side are saxophone selections by another artist. 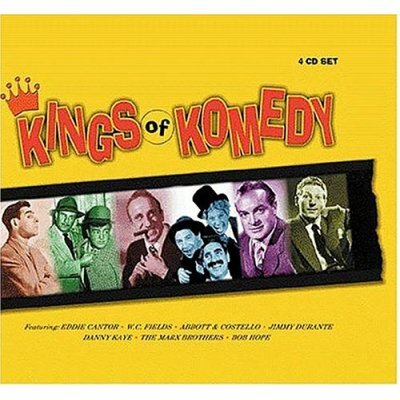 Released in England by Decca, this disc contains the same selections as the American decca album "Hooray for Captain Spaulding" on side one, and six tracks by Jerry Colonna on side two. 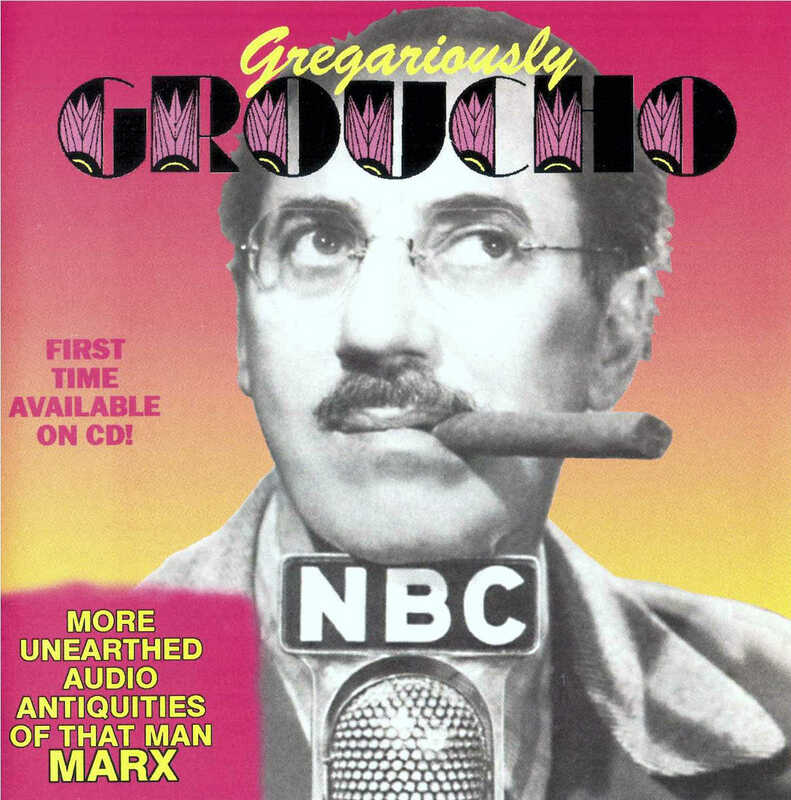 Journalist Pete Martin interviews several celebrities including Groucho, who sings "Show me a Rose"
Soundtrack to Groucho's performance on NBC-TV's "Bell Telephone Hour" of Apr 29, 1960. 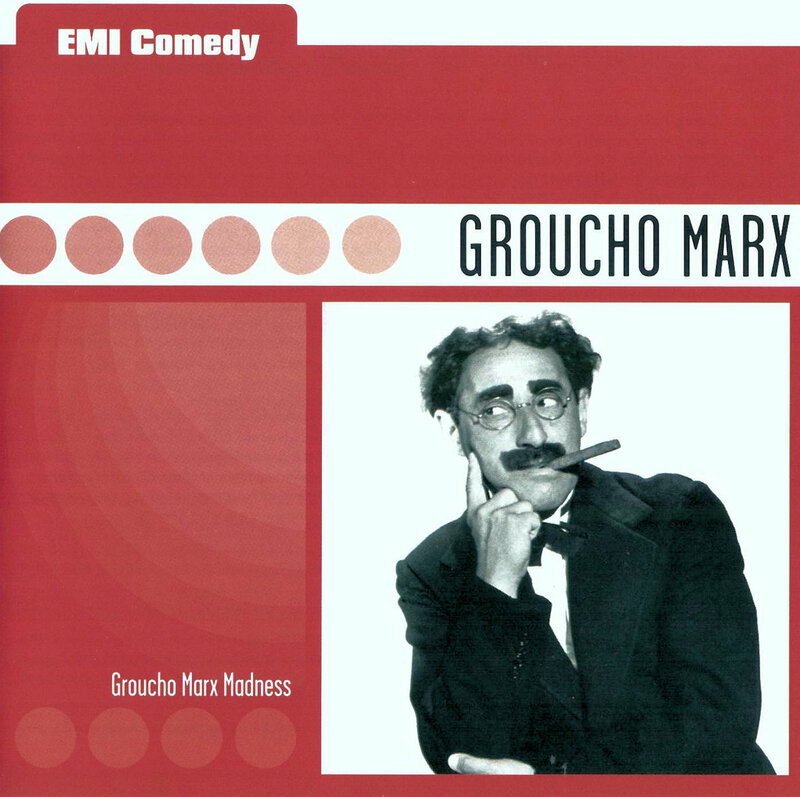 Groucho stars as Ko-Ko the Lord High Executioner. 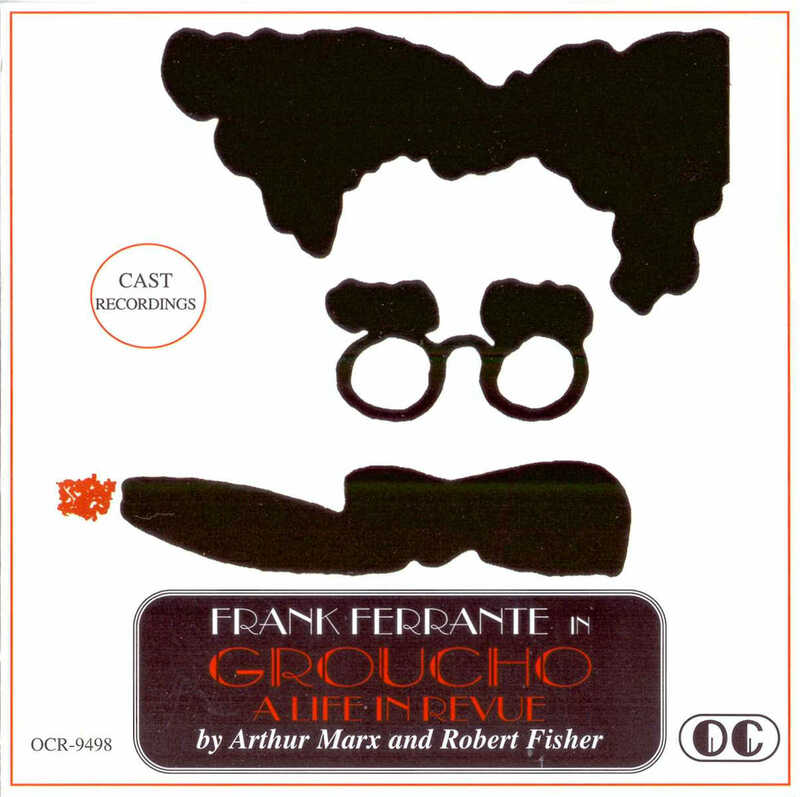 The original release included a 12-page libretto. 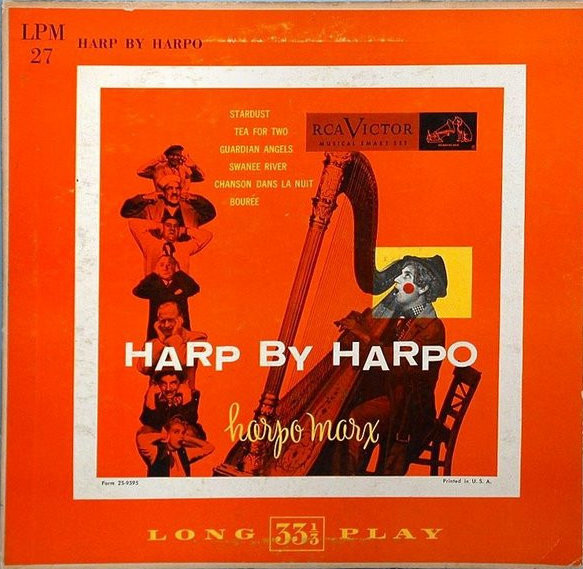 The re-release LP was part of Columbia's Collector Series, but was mono and did not include the libretto. 12 - Here's A How-De-Do! 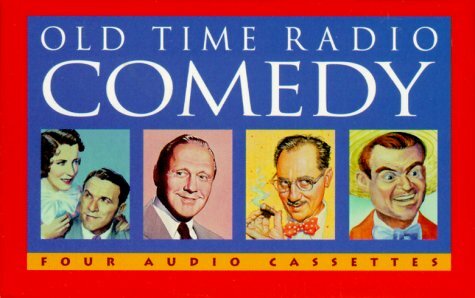 Bing Crosby hosts legendary comedians and actors. 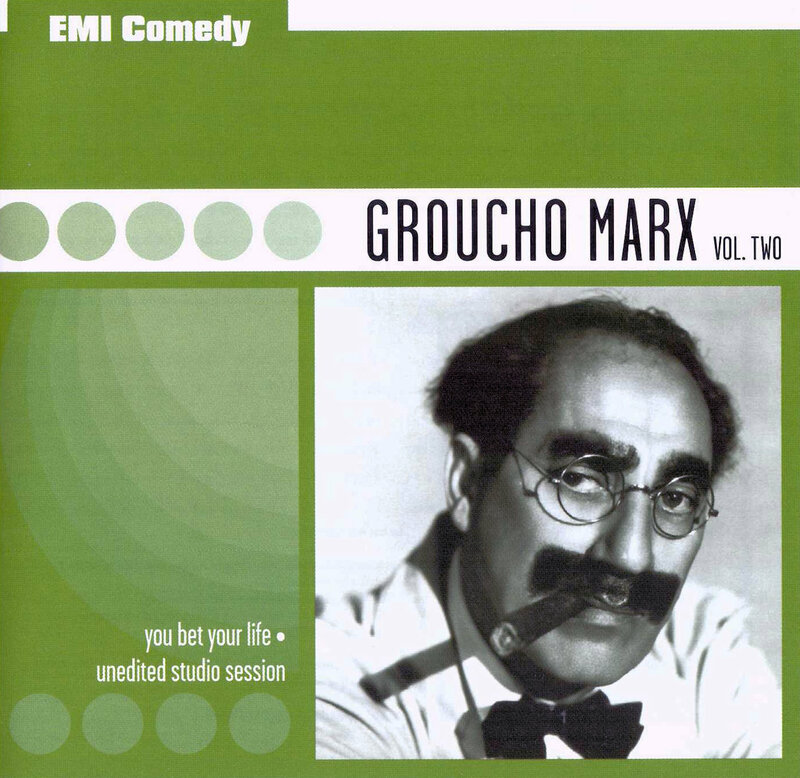 Groucho tells about a lucky hole-in-one at a Frisco golf course. 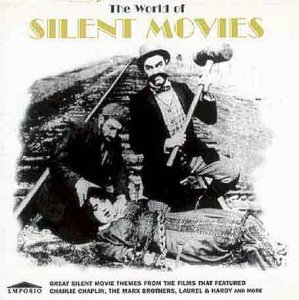 This was a fundraising record to benefit the Motion Picture Relief Fund. "Honoring the 40th Anniversary of NBC." Broadcast 13 Nov 1966. 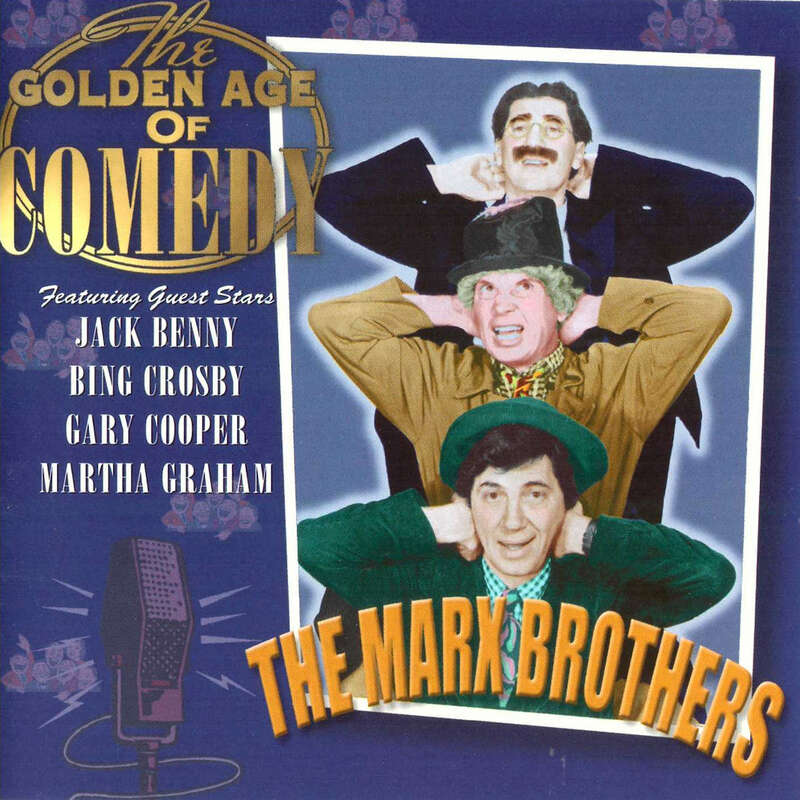 Includes performances by Groucho Marx, Fred Allen, Jack Benny, Burns and Allen, Eddie Cantor, Bing Crosby, Bob Hope, Al Jolson, Will Rogers, Red Skelton and many others, the voices of historical newsmakers and memorable moments in history. 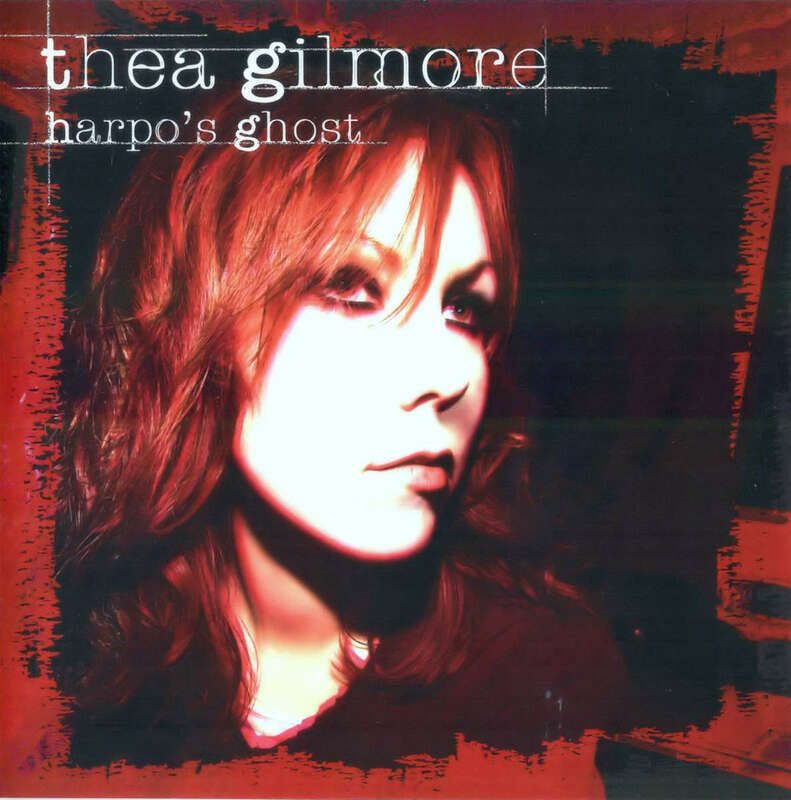 British release of the song as heard on the original soundtrack of "Horse Feathers". 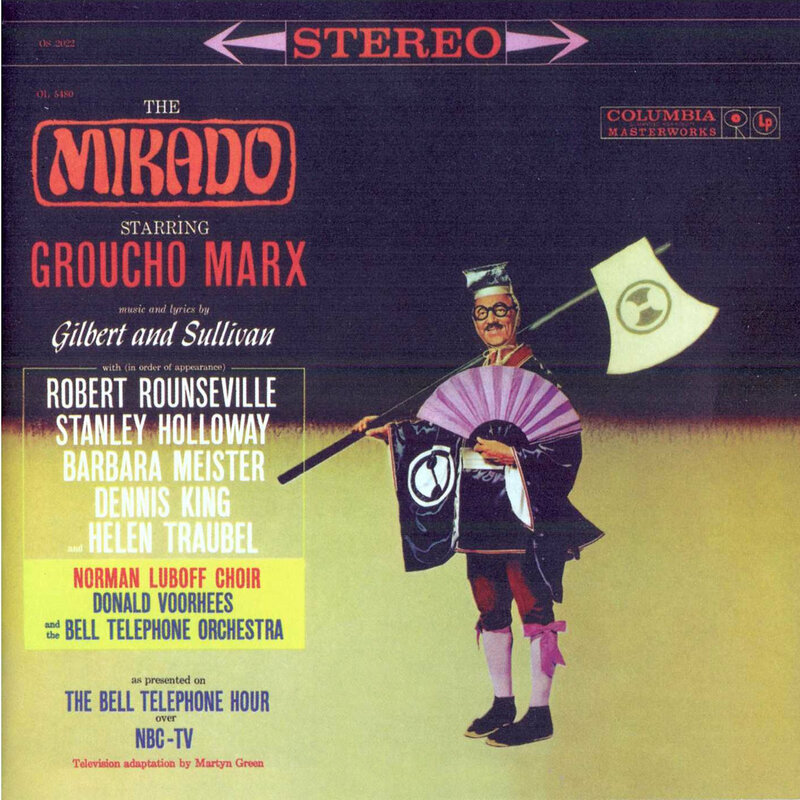 Issued in a picture sleeve. 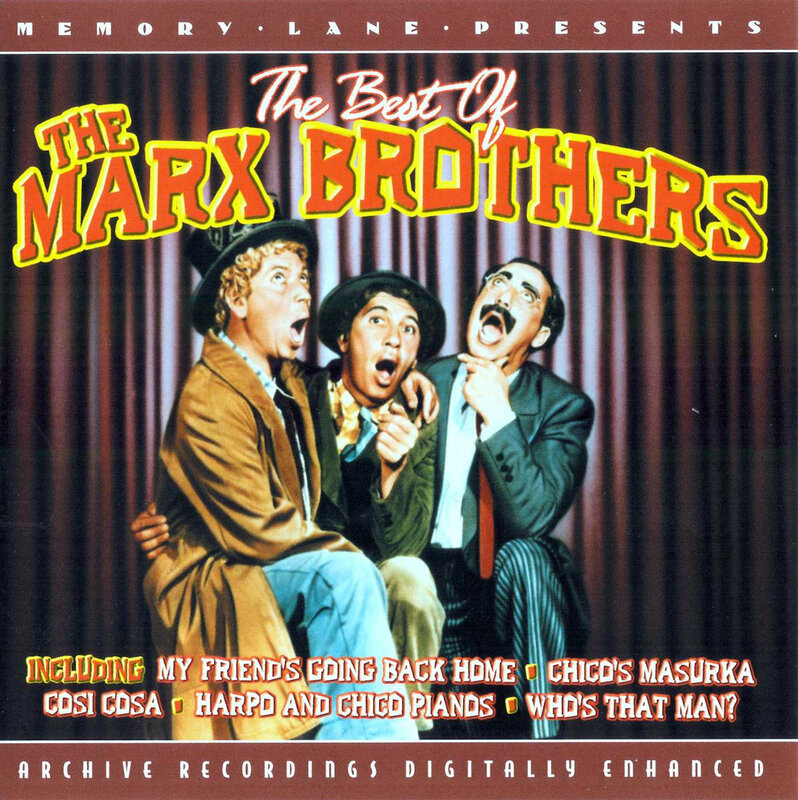 A - Groucho and Chico: "Everyone Says I Love You"
B - Harpo: "Everyone Says I Love You"
- MCA, No. 734651, 7", 33rpm, 1969 / Cover show the title "so, we're different..."
Side A is a "You Bet Your Life" program from 1956. The secret word is "TABLE". The guests include Pearl Runyon & Charles Pearce. Then Victor & Lorraine Horn. Finally, Verna White & Eugene Mariani. 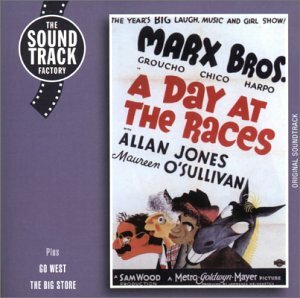 Side B has W. C. Fields 8 greatest comedy routines. 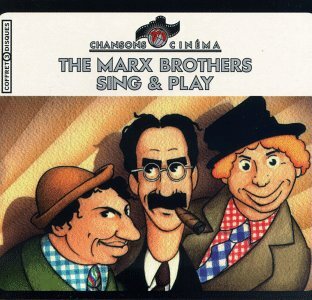 These include The Temperance Lecture, Don Ameche & Charlie McCarthy. 08 - Where was I when they passed out the luck? 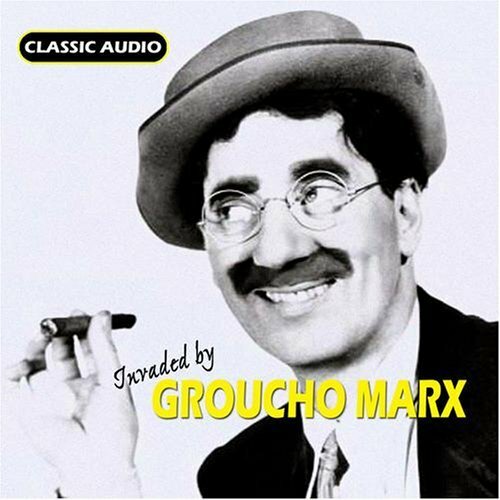 Groucho's 1972 concert performances at Carnegie Hall, Stephen's Auditorium at Iowa State University and Masonic Auditorium in Frisc make up the two-record set. It was originally issued with a fold-out sleeve, and four pages of picture with comments by various celebrities. 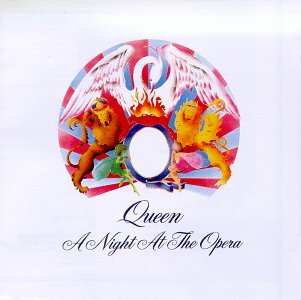 Later the album came up with a singel slipcase sleeve with no pictures. 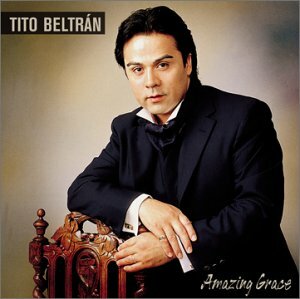 An edited version (single album) was issued for promotional purposes to radio stations. It has a different back cover. 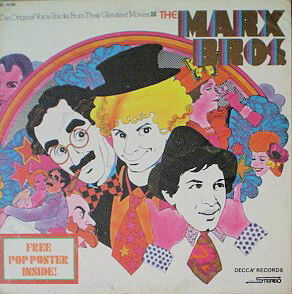 This edited version was pressed as a picture disc in limited edition in 1978, using hand colored copies of the illustrations which had been inside the originally edition. - A & M PR-3513, Single LP picture disc, 1978 / Excerpts. Limited Edition. 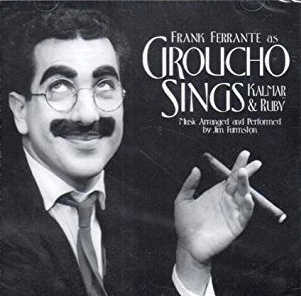 The LP itself has pictures on both sides of Groucho and the brothers printed on it, and on the album-cover there's a drawing of Groucho in Carnegie Hall done by Grossman. 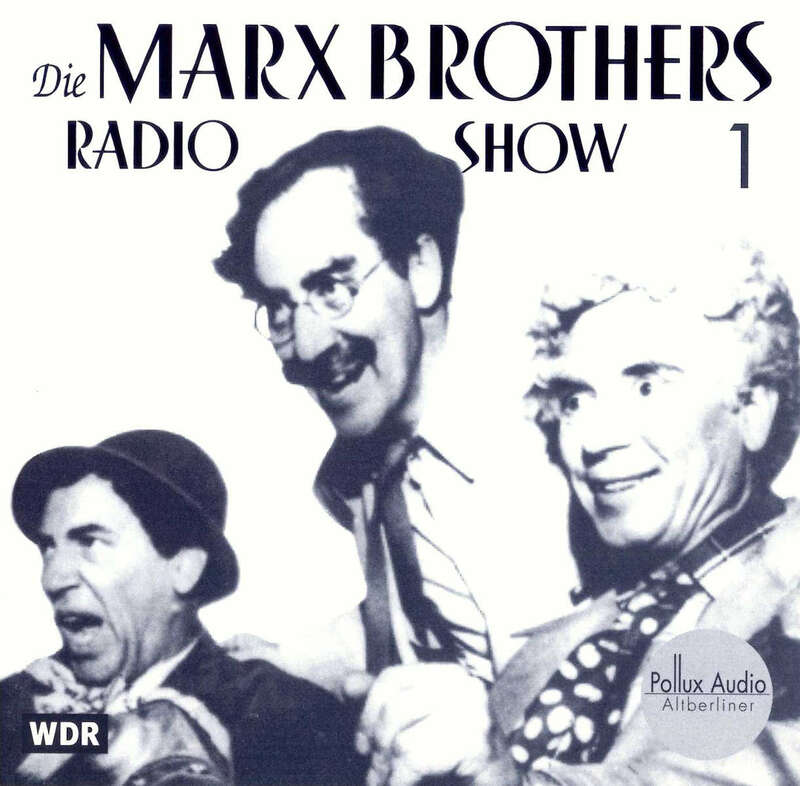 08 - Chico at Klauber Horn Co.
20 - Poem from the play "Animal Crackers"
"The four LP set which was released in 1974, contains various radio shows where the Brothers were guests. 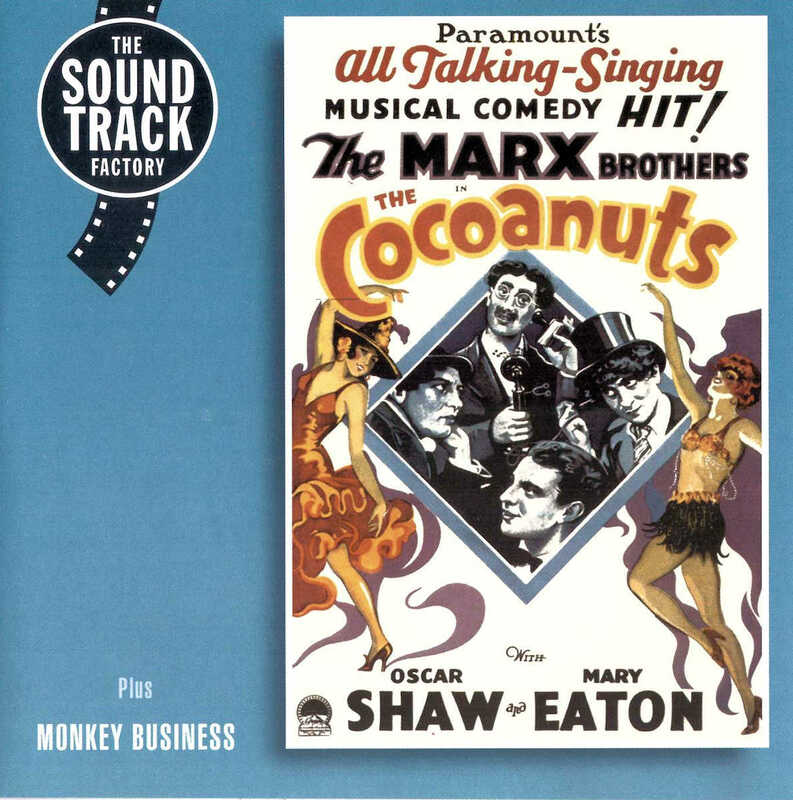 Some of the stars that appear along with the Brothers are Bing Crosby, Lucille Ball, Mel Blanc, Jack Benny, Gary Cooper, Dinah Shore, and many others. 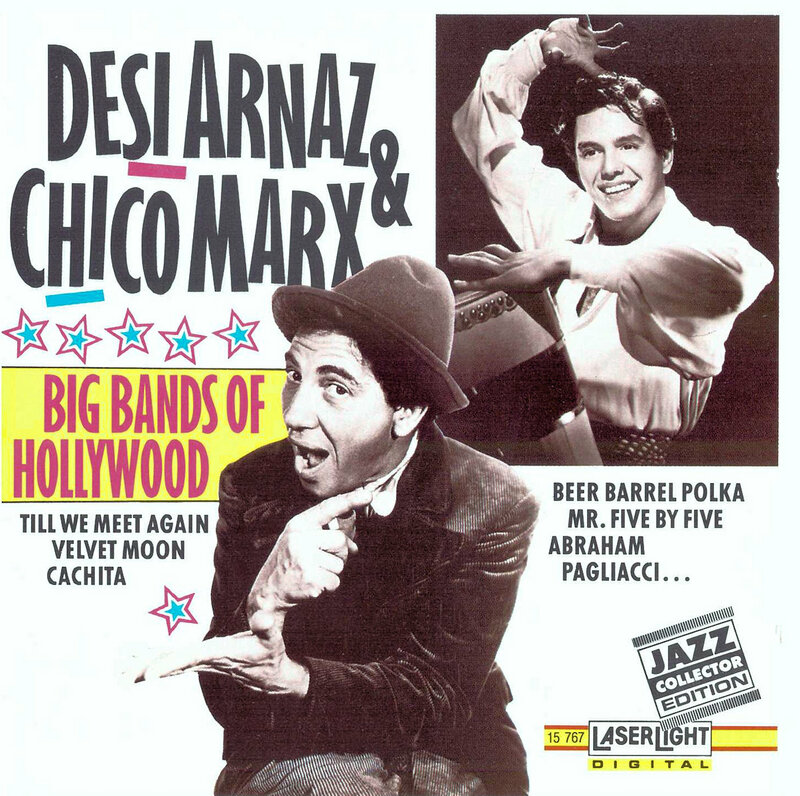 Some of the shows are not available anywhere else, including performances by Chico's band on "Fitch Bandwagon" of which Chico debuts his newest discovery, Mel Torme." (M. Yahn). 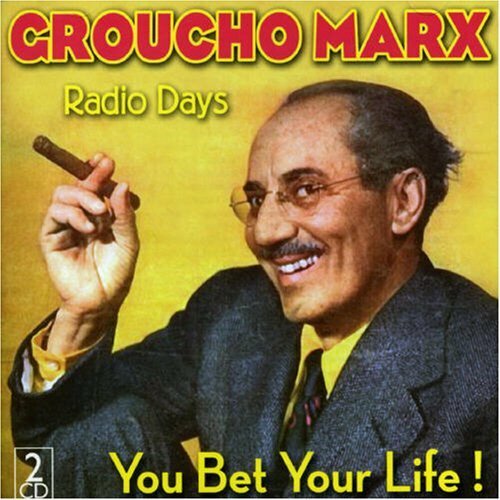 Brief interview with Groucho, he also sings "Father's Day". Same clipping is in the "Johnny Carson Video Collection"
same on "3hrs., 59min., 51secs. 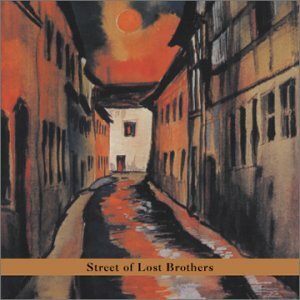 ..."
An album of questionable legality. 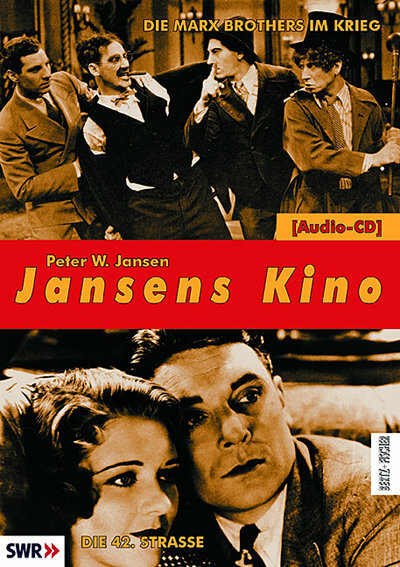 The original looks like a bootleg, and although the reissue has a much nicer cover, the recording is the same, probably recorded from a TV broadcast of the film. 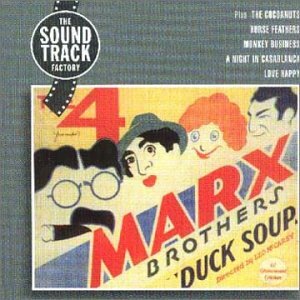 It is not, as the reissue states, "the original 1929 soundtrack album". 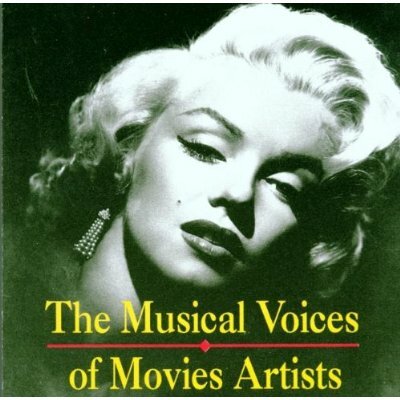 B3 - I want my shirt sung to the music of the "Toreador Song" from "Carmen"
B4 - Gypsy Love Song or "A cup of coffee, a sandwich and You" from "Aida"
Two vol. 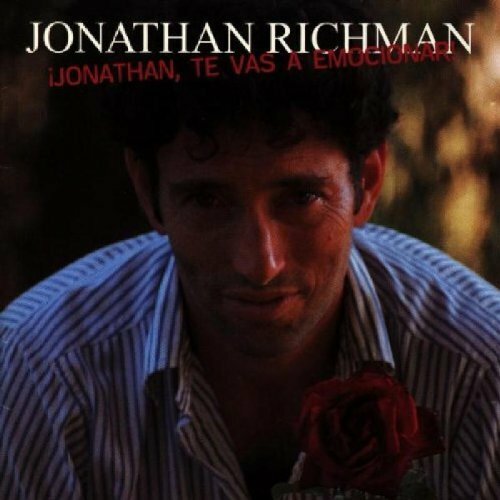 of 2-LP. Same as "3hrs., 59min., 51secs. 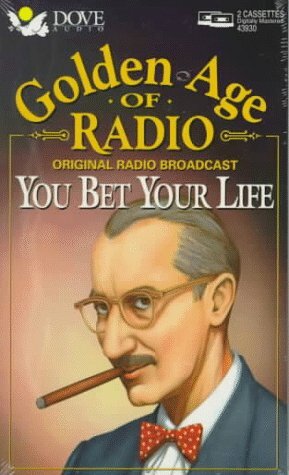 ..."
"You bet your life" radio broadcast of Dec 16,1957 and Feb 10,1958 with commercials. 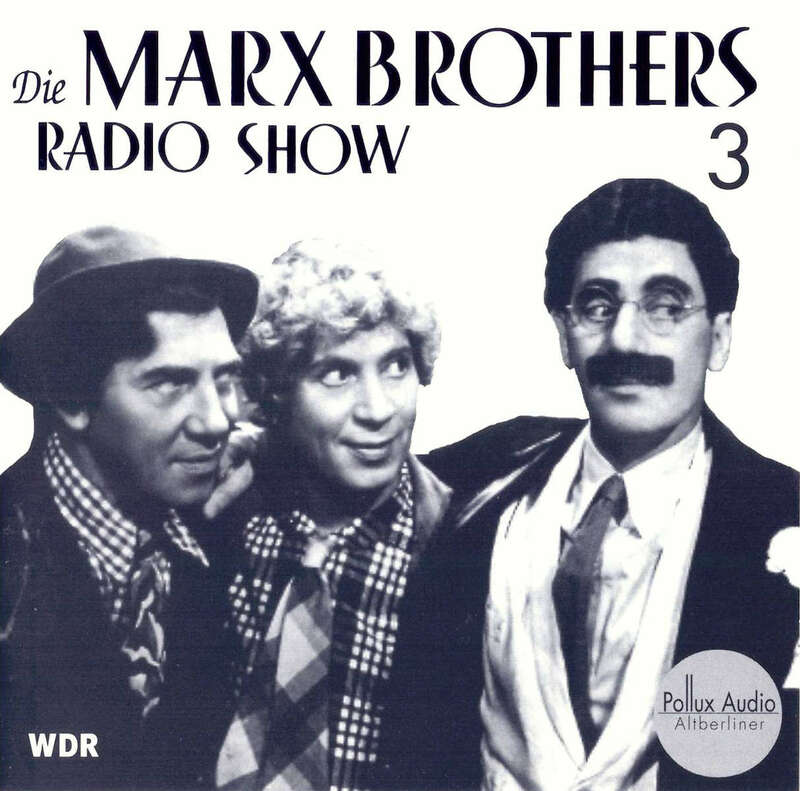 Special Radio Broadcasts starring The Marx Brothers 1933-1940. 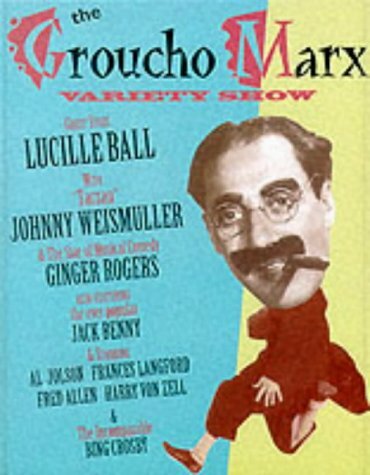 Features Groucho & Zeppo Marx, Marlene Dietrich, James Stewart, R. Valentino, Joan Crawford, Maurice Chevalier, Fred Astaire, Ginger Rogers, Gloria Swanson etc. 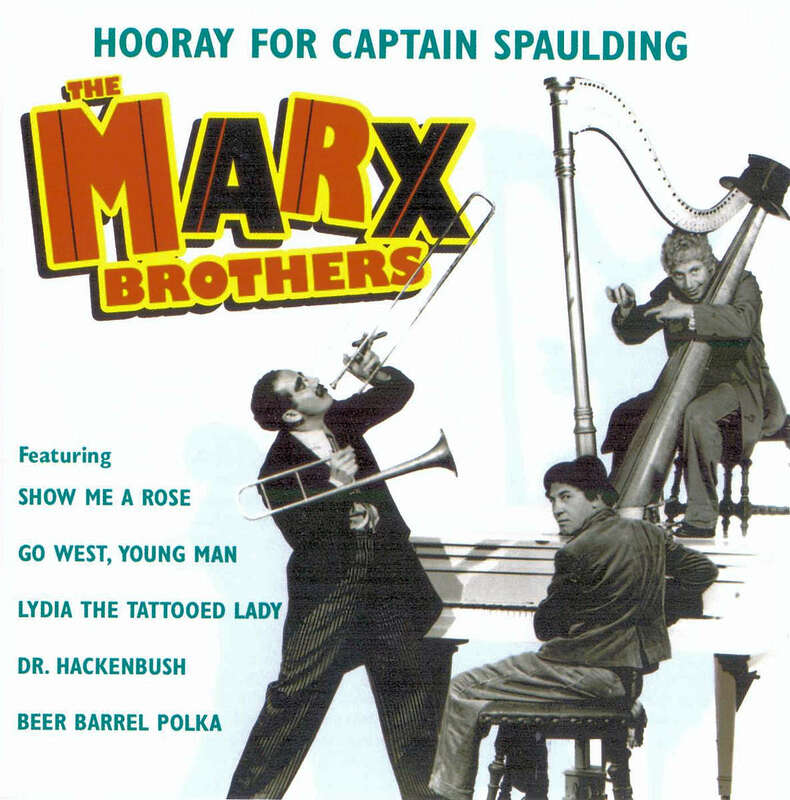 Contains "Hooray for Captain Spaulding" from the original movie soundtrack. 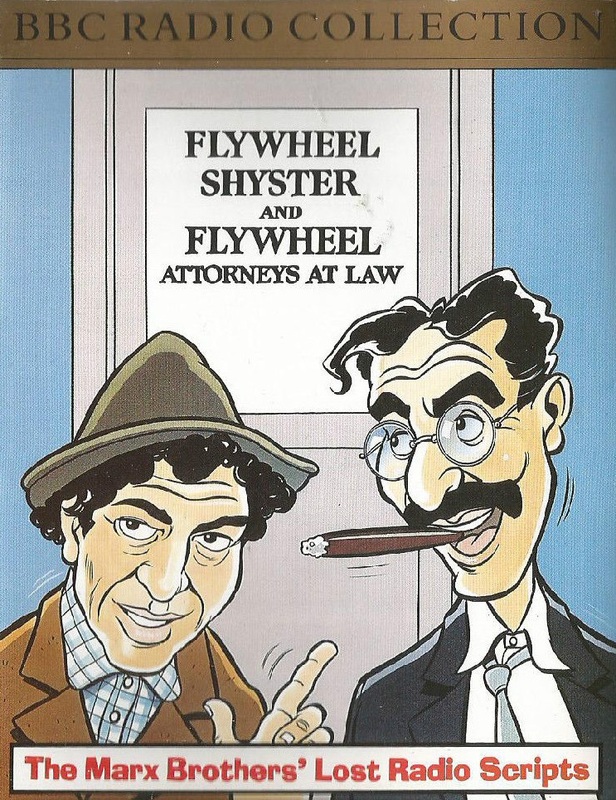 Four episodes of YBYL: Jan 20,1955; Feb 2,1957; Apr 15,1953 and Mar 16,1957. 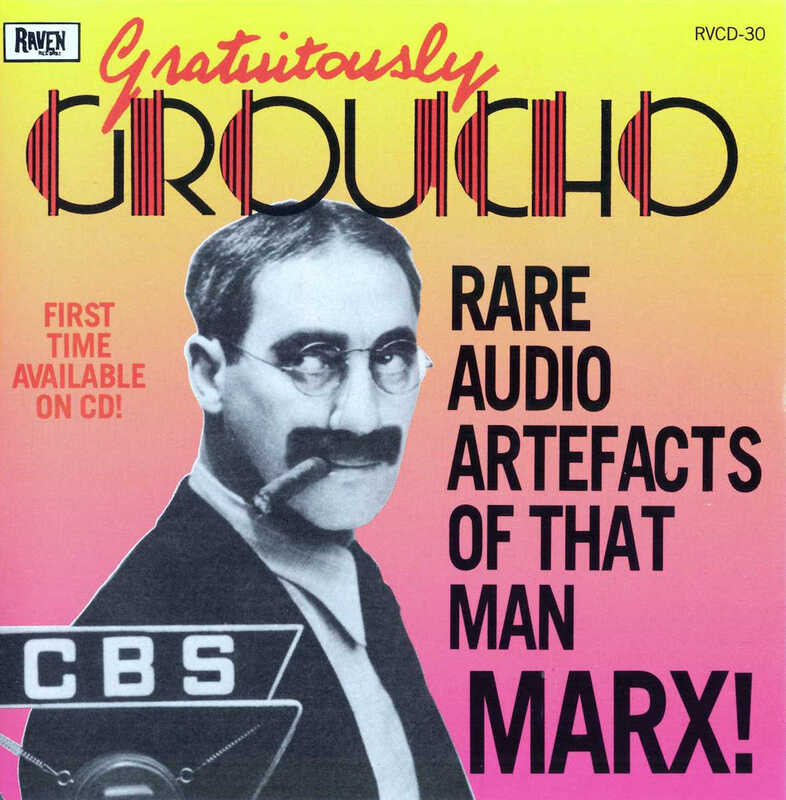 The item comes in a can decorated with drawings of Groucho. 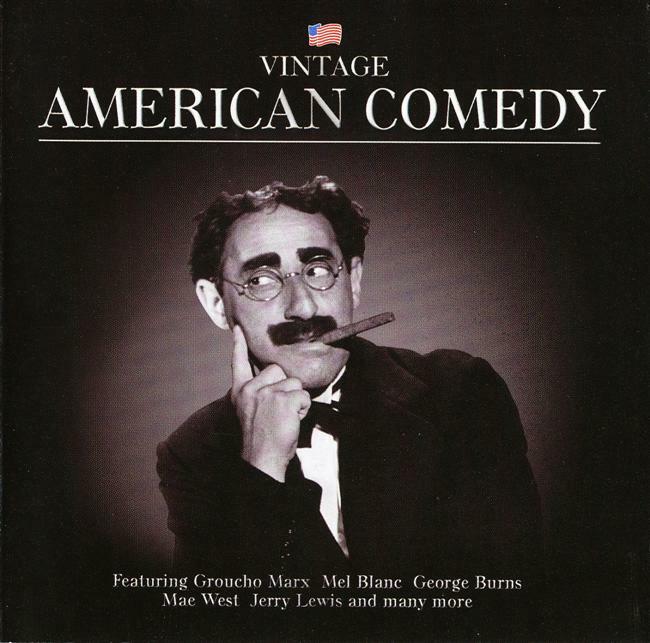 Vol.1, B-4 - "Neysa McMein Memorial Record" / Made by Alexander Woollcott with Reinald Werrenrath and Harpo Marx. 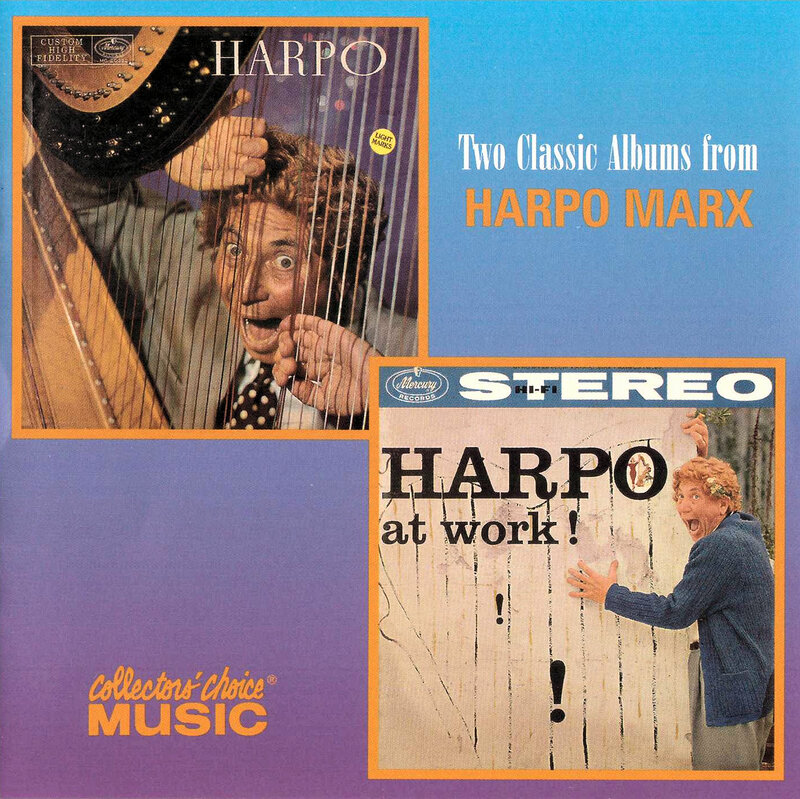 Harpo plays the harp and allegedly can be heard saying a sentence. 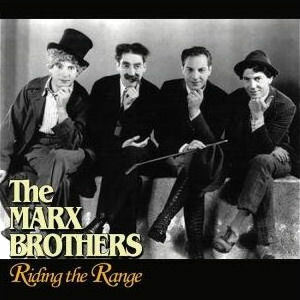 Well, this is not really a Marx Brothers record, but it is named after the film. 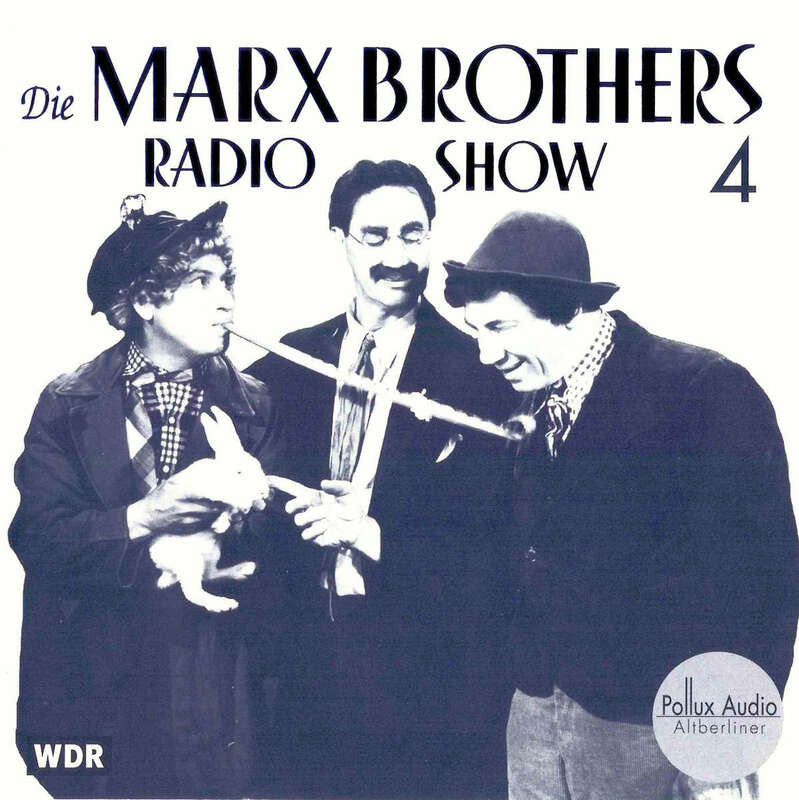 "This collection of WWII-era radio broadcasts and songs introduced in Marx Brothers Films (and forever identified with Groucho) is but a taste of his inspired madness" (Cover text). Some of the recordings can also be found on "3hrs, 59 min, 51 secs ..."
06 - Hackenbush At Blue Ribbon General / same on " 3hrs, 59 min, 51 secs ... "
08 - We're Here For Beaubrick / same on " 3hrs, 59 min, 51 secs ... "
09 - Game Show Groucho / same on " 3hrs, 59 min, 51 secs ... "
11 - Germs and Groucho / same on " 3hrs, 59 min, 51 secs ... "
01 - Theme Principal / from: "A Night at The Opera"
05 - Theme Principal / from: "A Day at The Races"
08 - Theme Principal / from: "Room Service"
10 - Theme Principal / from: "At The Circus"
15 - Theme Principal / from: "Go West"
17 - Theme Principal / from: "The Big Store"
22 - Theme Principal / from: "A Night at Casablanca"
23 - Love Happy Theme / from: "Love Happy"
contains a Spanish version of the song originally published on "Modern Lovers 88"
CD1-01 - Generique/Florida By The Sea / from "The Cocoanuts"
CD1-09 - Generique/Butler's Song / from "Animal Crackers"
CD1-14 - Generique / from "Monkey Business"
CD1-21 - Generique / from "Horse Feathers"
CD2-01 - Generique / from "Duck Soup"
CD2-06 - Generique / from "A Night at the Opera"
CD2-13 - Generique / from "A Day at the Races"
CD2-19 - R.K.O. 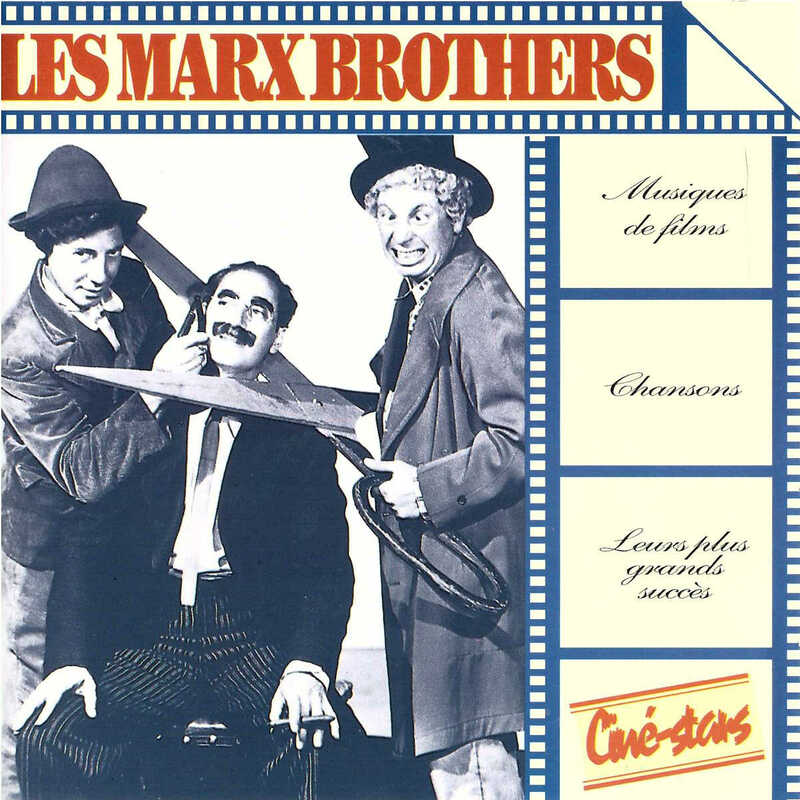 signature / from "Room Service"
CD3-01 - Generique / from "At the Circus"
CD3-08 - Generique / from "Go West"
CD3-14 - Generique / from "The Big Store"
same on "3hrs, 59 min, 51 secs ..."
For the lyrics of the track "Groucho Marx", there is a photo of her with painted on moustache and cigar. 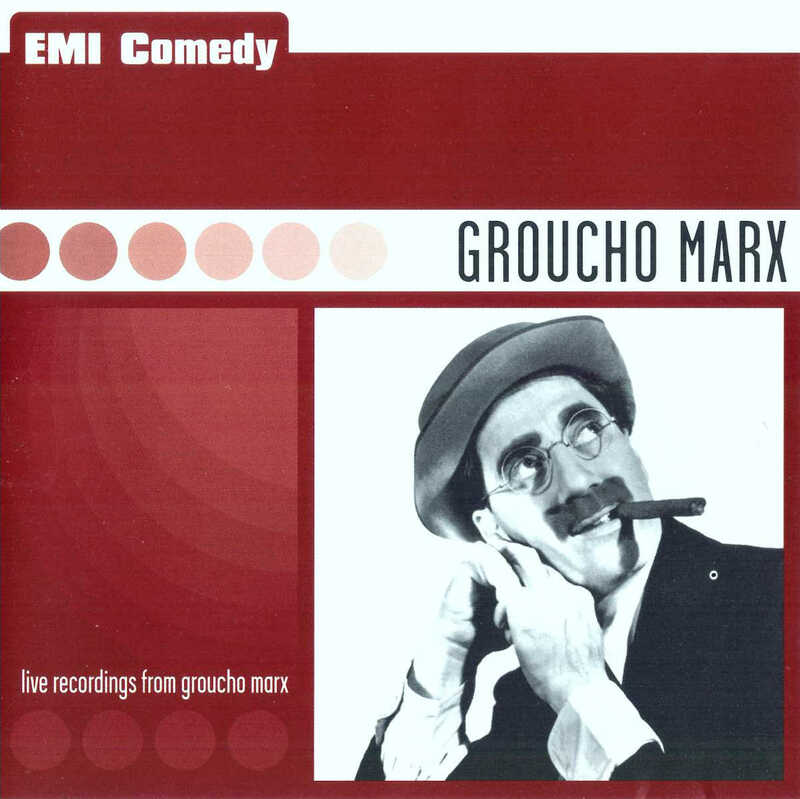 The only reference in the lyrics is the chorus: "... if you are the straight one, I'm Groucho Marx ..."
- Groucho Marx / witten by Timo Rautio. 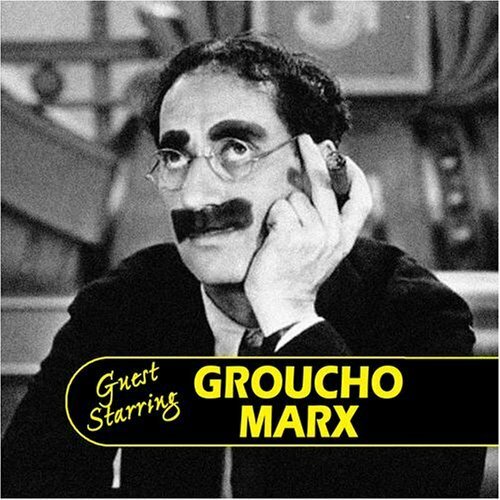 Timo says: "This song is about the worriness that the world has gone so crazy and we'll need Groucho to end this madness. He was rebeller in his funny way." Some of the tracks are available on "3 hrs. 59 min., ...". 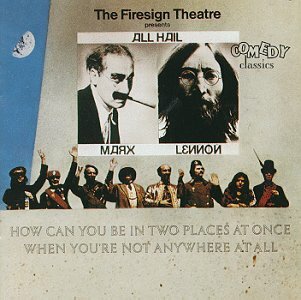 This CD has several tracks (1, 5, 6) which last only for a few seconds and are excerpts of radio shows or movies. 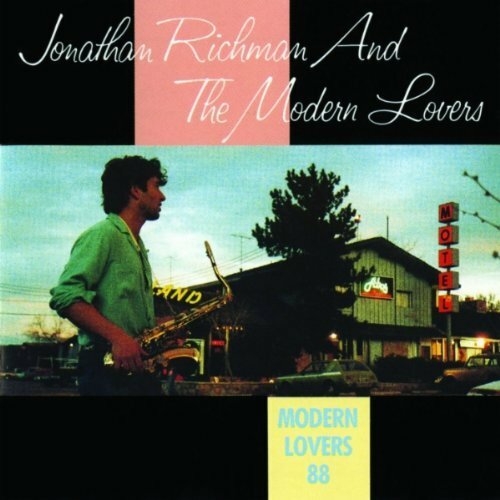 06 - Love Crazed / excerpt from "Love Happy"
09 - You Bet Your Life's Cutting Room Floor / from "You Bet Your Life"
10 - The Musicologist's Raw Deal / from "You Bet Your Life"
11 - I'll Say She Is / from a promotional trailer for "Monkey Business"
12 - Wild Red Berry Bets His Life / from "You Bet Your Life"
14 - I Can Tell a Phony / a 'You Bet Your Life'-spoof from the "Jack Benny Show"
also includes "Go West" / "The Big Store"
also includes "Animal Crackers" / "At the Circus"/ "Room Service". 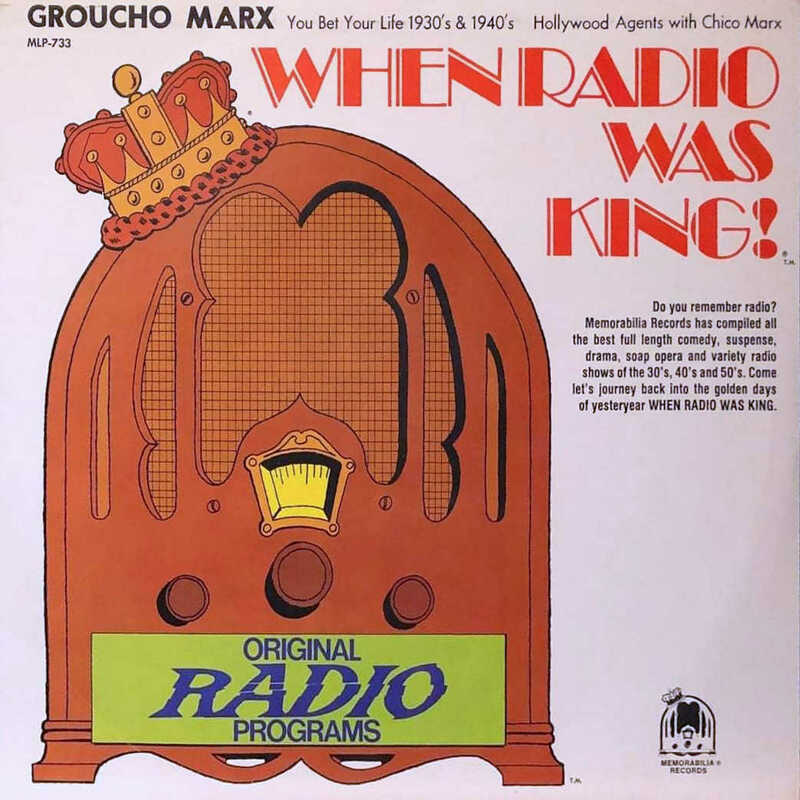 also includes "The Cocoanuts" / "Horse Feathers" / "Monkey Business" / "A Night in Casablanca" / "Love Happy"
More radio shows with Groucho (in the series with "Gratuitously" and "Gregariously"). 03 - Go West, Young Man! 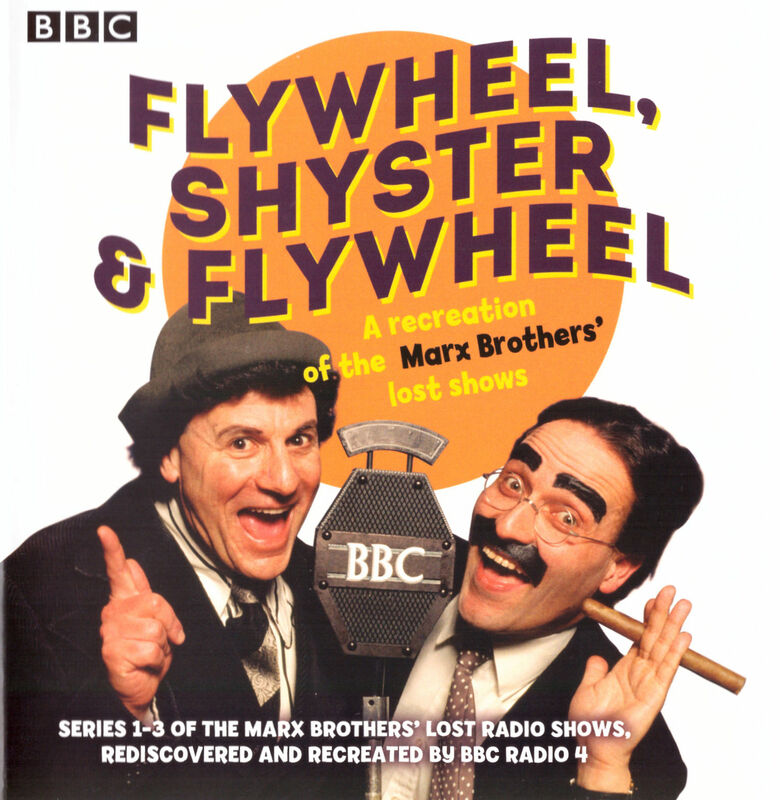 Richard Shaw writes: "They've taken some YBYL shows and cut out the bits with the questions in - the idea is that the interviews are the funny parts." 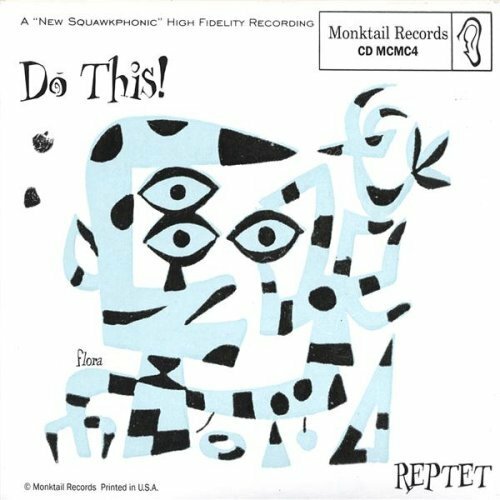 Reptet is a Jazz group from Seattle. 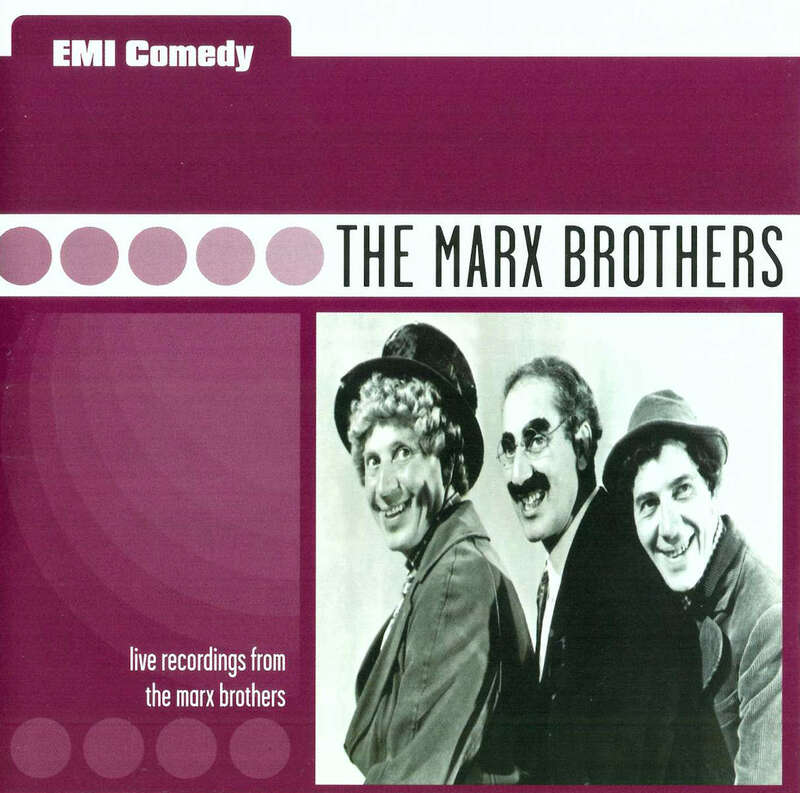 This CD features four tracks named after the Marx Brothers. 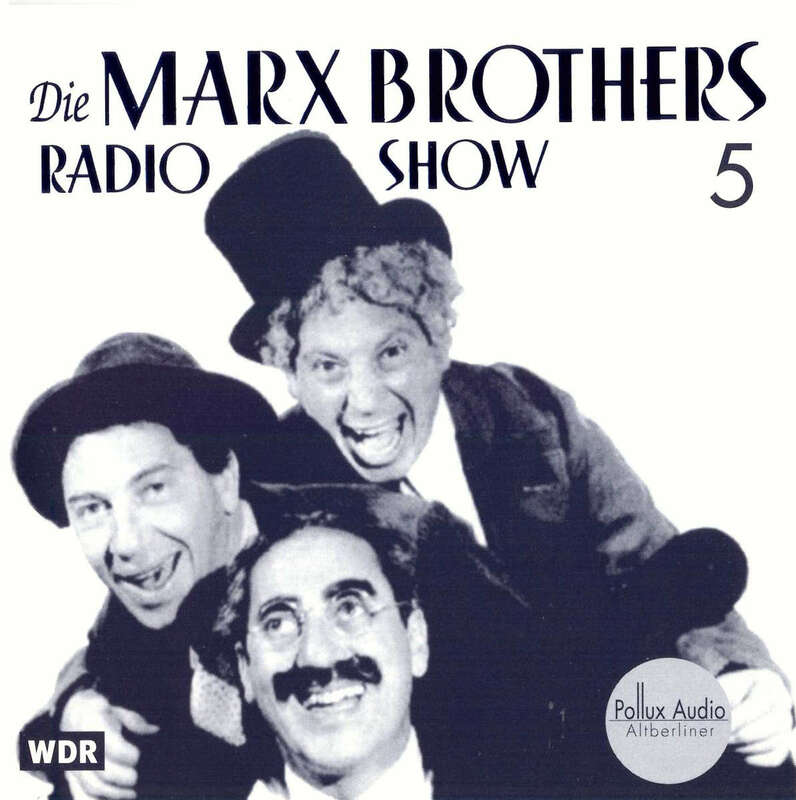 On her website Thea Gilmore explains the title: "You remember in the Eighties, they put all the Marx Brothers movies on TV. 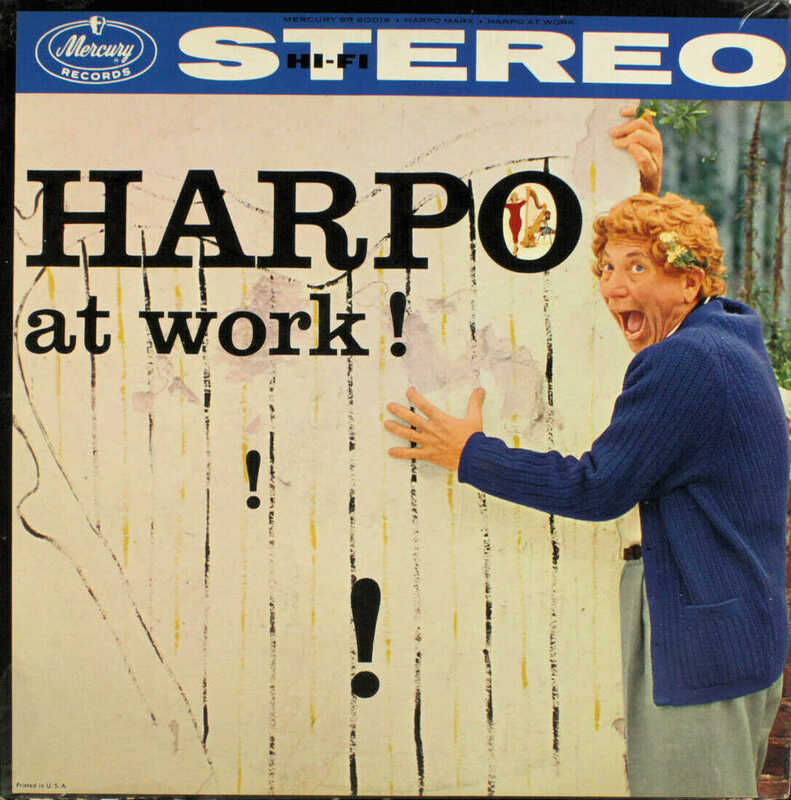 I was a big, big fan and Harpo was my favourite, as he was the clown, the one who never spoke. I would have been five or six. 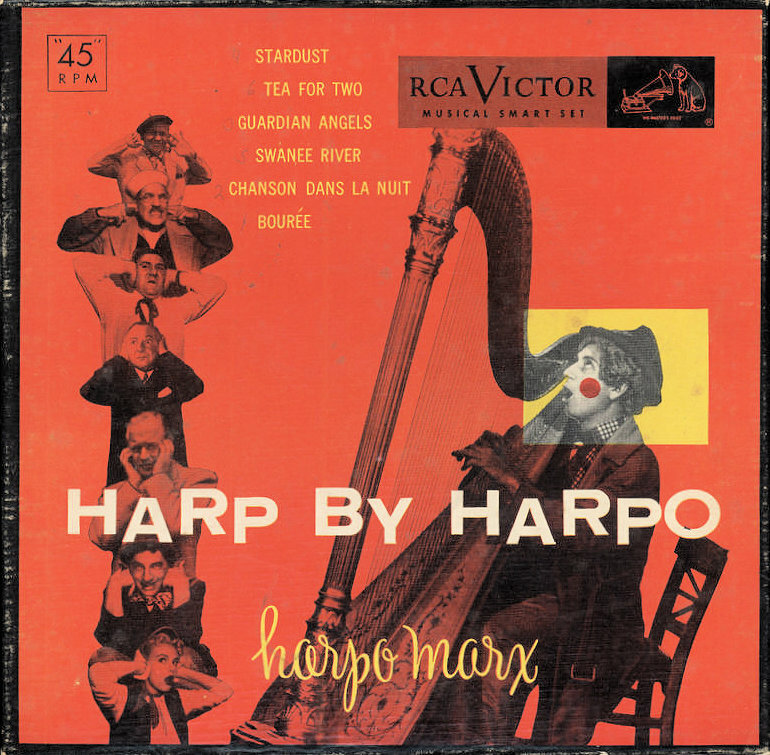 "I remember watching and thinking that his most expressive moments were when he played his harp. "I liked the idea of the ghost of that. Someone who expressed themselves better through the music they made than they ever could in words or actions. "That's kind of how I feel about myself. I don't do the talking part too well, but I think I kind of make sense through music. 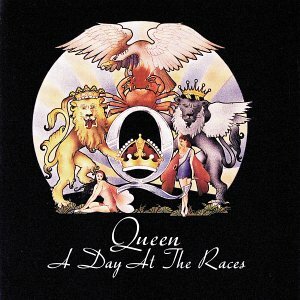 There's not much that isn't already available elsewhere - tracks 1 and 11 are perhaps more rare than the others. 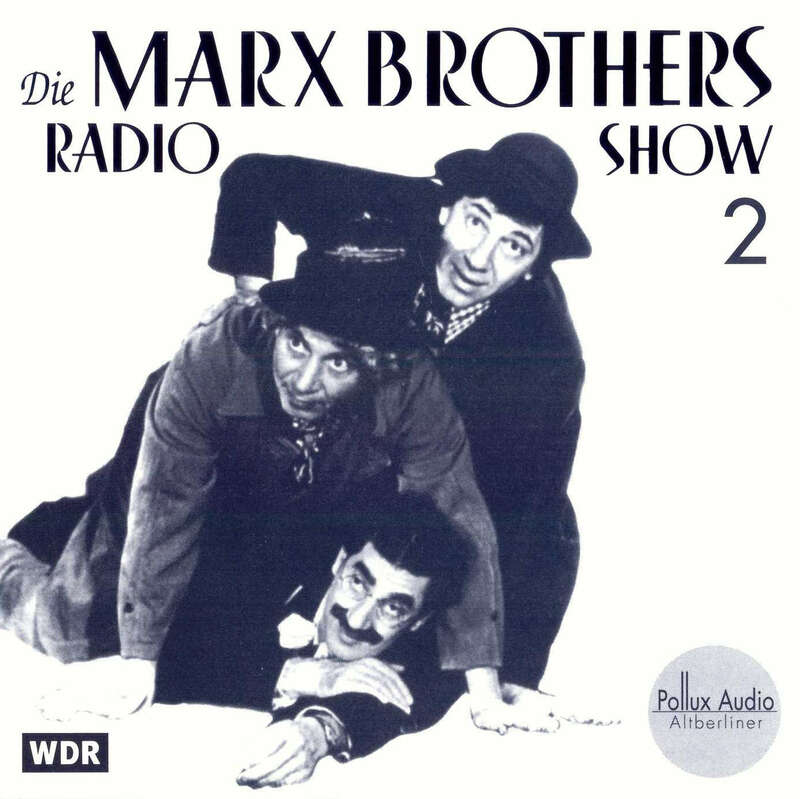 4 - Command Performance, "Radio MARX"
Music from the movies, very similar to "The Best of the Marx Brothers (2005)"